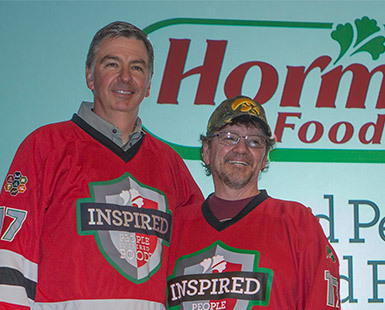 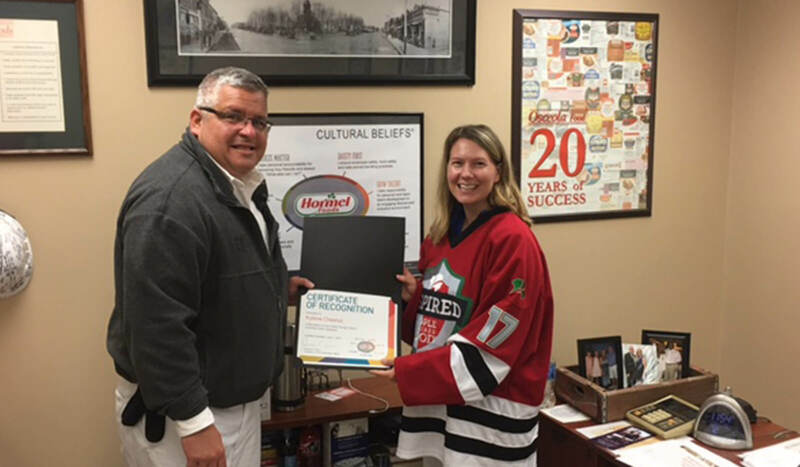 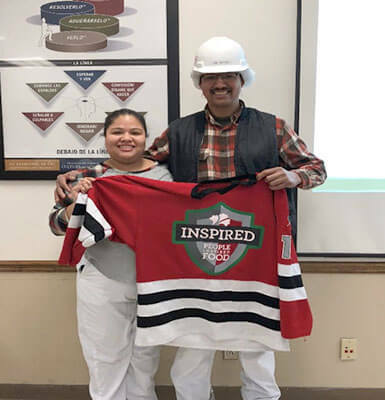 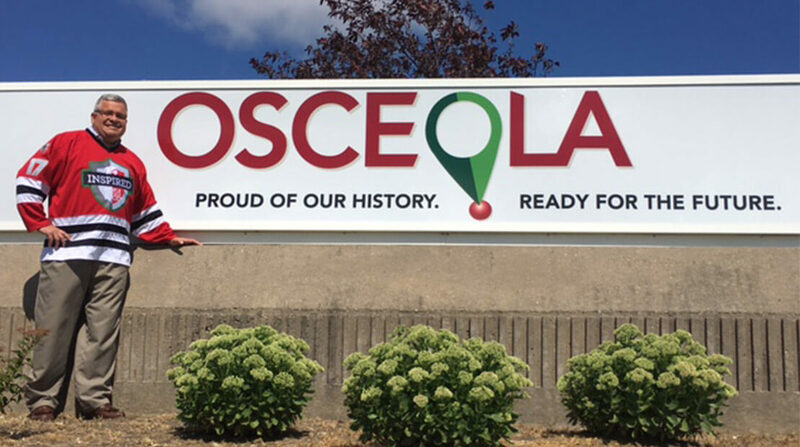 See how the team at the Osceola Food plant in Iowa celebrated the jersey, a symbol of their commitment to cultivating inspired people and creating inspired food together. 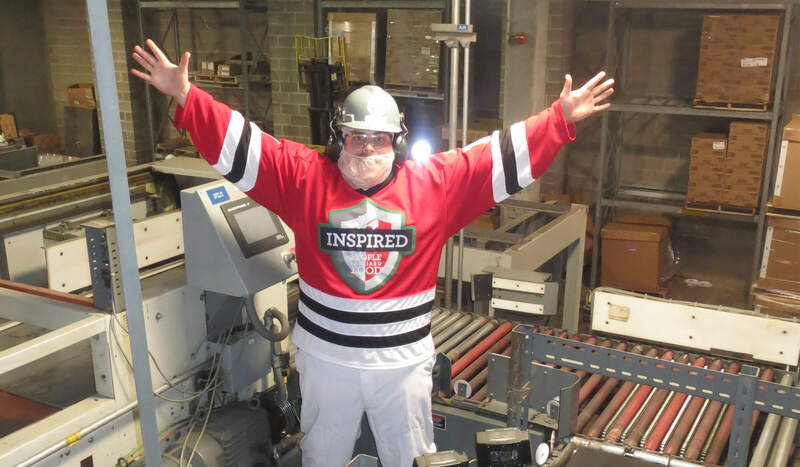 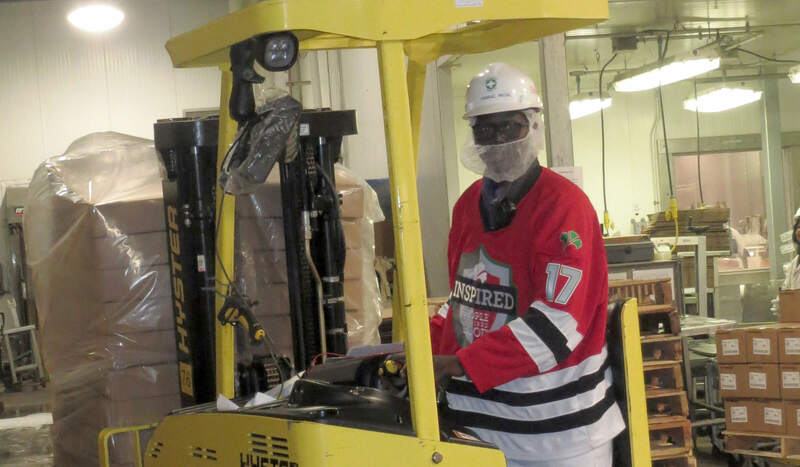 Employees at the Osceola Plant wear the jersey while working. 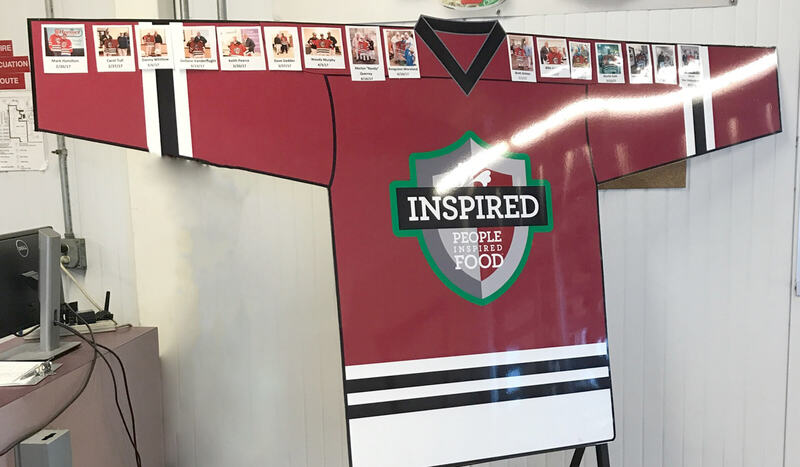 A metal replica of the jersey on display in the plant with photos of all the employees awarded the jersey. 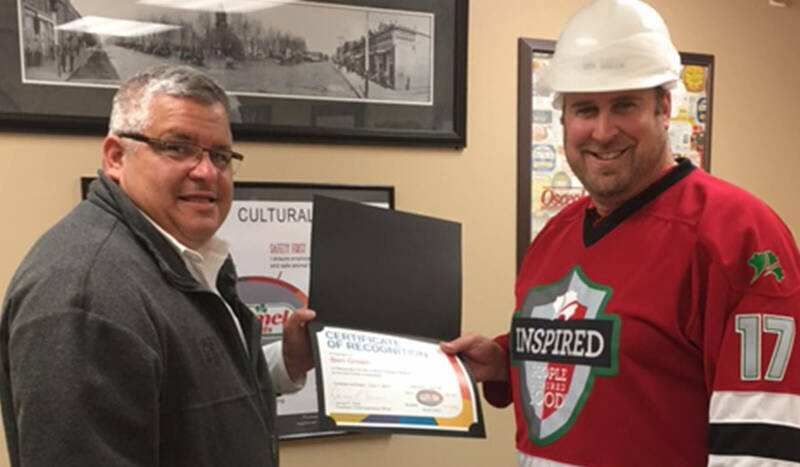 Plant manager John Hoag presents recognition certificates. 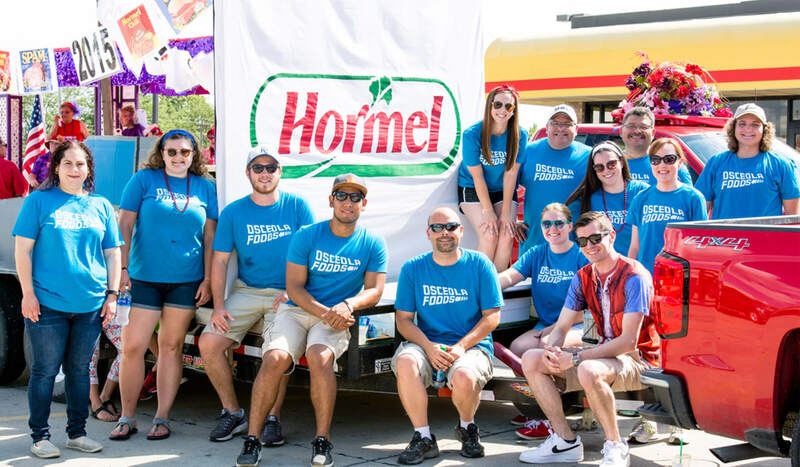 Employees participate in the annual Fourth of July parade. 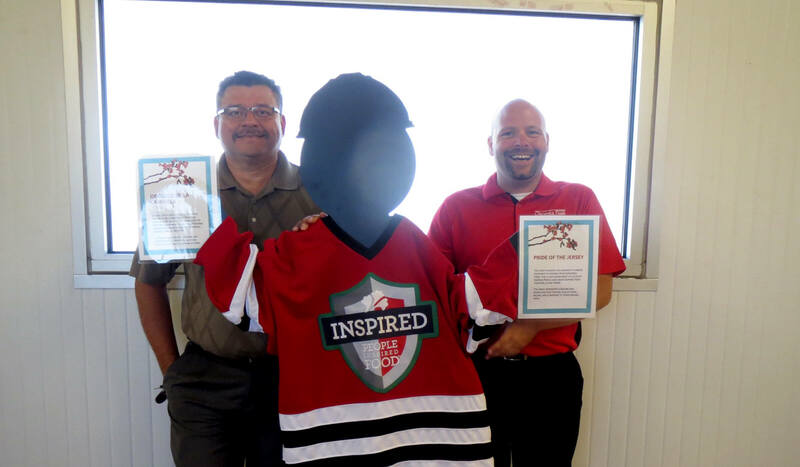 Employees pose with Jersey-clad SAM (the safety mascot).